Custom canvas wrap printing is a simple and cost effective way to transform your digital photos into beautiful elegant artwork. Photo wall gallery wrap by MahaMeru Bali allows you to fill any room with museum-quality masterpieces at very affordable price. We start by printing the photograph directly onto high-quality rolled canvas material with the finest ink to ensure that the image shows at its best. Our skilled technicians then stretch around a wooden frame, with various widths and sizes available. Tight corners and seams are truly important to us, we make sure each piece is produced and stretched to perfection. Choose a variety of size! you can print multiple photos on a single Canvas. Wall clusters allowed you to design your wall panel display with multiple canvas prints in an artistic fashion. Why choose MahaMeru Bali to print your photo on canvas? We pride ourselves in bring you the best quality products at the lowest possible price so you you'll be impressed that the product will surely last year after year. High quality fine canvas to ensure your prints stay forever. Our expert artisans use wood to build your canvas frames. Well, they aren’t just beautiful but also durable. 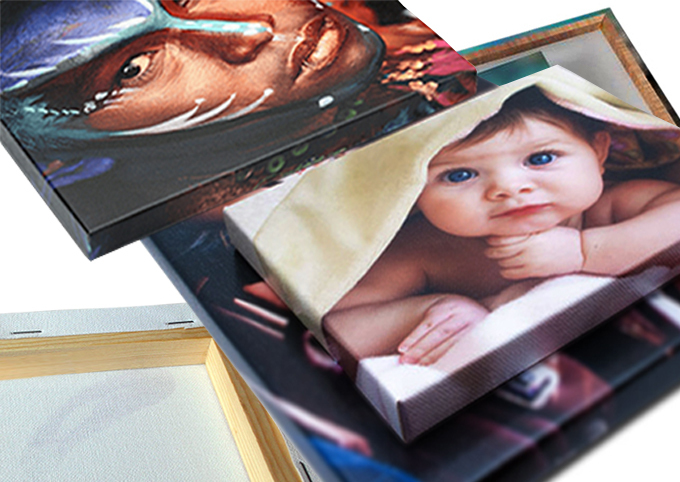 Every canvas print is handcrafted by expert artisans. Well, this helps us give personalized detailing to the orders we receive. Whether you’re looking for the perfect gift or a stunning addition to your home wall decoration, our fabric tick canvas photo prints are guaranteed to delight. You’ll love the museum quality print, custom options, and easy ordering process all at a price you can afford. You can turn your very own photograph into a stunning work of art cotton canvas! Our canvas prints are printed on premium material quality, high-quality giclée, artist-quality canvas, UV light protection prevents fading and come ready with a classic look. Just order with your canvas size and wrap thickness, send your pictures or art to our email for a personalized canvas print of your own.